Our CEO Josef Reiterer is a trained mechanic, and started out in 1981 selling the world's top brand of tractors Fendt. In 1987 Reiterer became the first dealer in South Tirol that sells Fendt municipal machinery with the best accessories from Kronberger Snow plows, Westa snow blowers and Springer gritters. Due to the great success in the municipal sector, Reiterer founded the Komland Company in 1995. Starting with just 2 employees, the company grew steadily in the following years. A great success was achieved in the late 1990s with the first sales to the Autonomous Province of Bolzano and Trento. In order to cover all areas of local government and state government, the municipal equipment company of Holder, Aebi und Mulag was taken over. Because of the steady growth and increasing sales, the new production hall was built at the Hafling industrial estate in 2000. Over the years the quest for Quality, Service and Customer Care, has proven to be successful. By selling the same type machinery for more than 30 years, Komland has developed great confidence amongst its customers. In order to be able to offer our customers a greater choice in the Agricultural and Forestry sectors as well as Fendt tractors we have also incorporated the Valtra brand into our sales range in 2014. 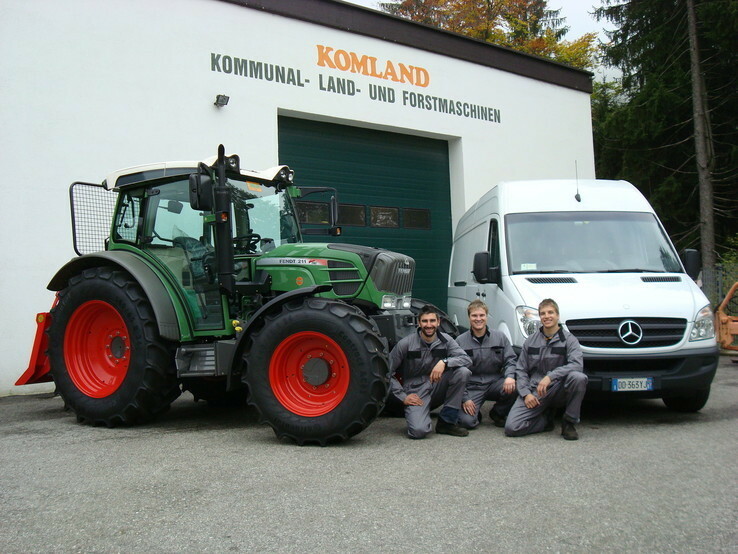 Meanwhile, the Komland Company has 6 employees, and has 3 other service workshops in Kastelbell, Brixen and Gais. Komland will continue to guarantee the highest level of quality and service in the future.